The LACCHA Roundtable meeting at the annual meeting this year will be on Wednesday, August 3, 6″00-7:30 pm, at Salon E at the Hilton Atlanta. 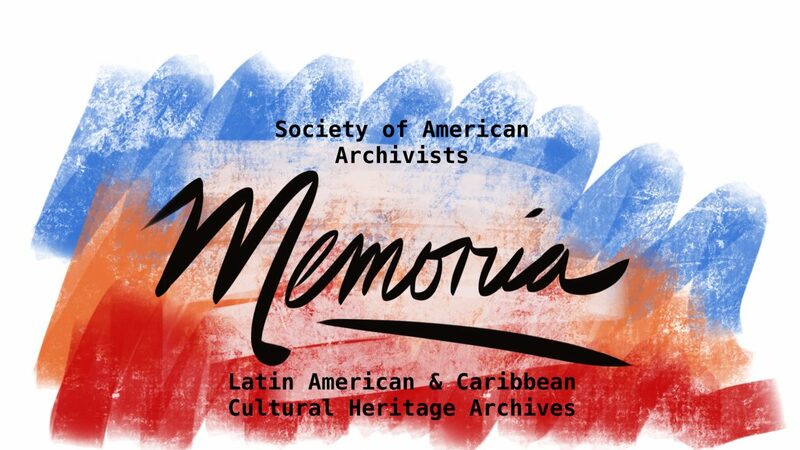 The program will feature Enrique Chmelnik, President of the Association of Mexican Private Archives and Libraries (AMABPAC) and Director of the Center of Documentation and Research of the Jewish Communities in Mexico (CDIJUM). LACCHA was able to secure funding from SAA to bring Chmelnik to the meeting. Chmelnik will also participate in the Diversity Forum: Thursday August 4, 2016 12:15pm – 1:30pm Salon E Hilton Atlanta. Enrique Chmelnik Lubinsky was born in Mexico City on January 28, 1978. He got a B.A. in Journalism at the renowned school of journalism Escuela Carlos Septién García, and an M.A. in Philosophy at the National Autonomous University of Mexico (UNAM). Since 2004, he is the presenter of the radio program El Aleph: la voz judía de la radio (The Aleph, the Jewish Voice on Radio) at the radio station Radio Red from Grupo Radio Centro, the most renowned Mexican radio station. He is the Director of the Centro de Documentación e Investigación Judío de México (Center of Documentation and Research of the Jewish Community in Mexico), previously known as Centro de Documentación e Investigación de la Comunidad Ashkenazí (Center of Documentation and Research of the Ashkenazi Community in Mexico). In addition, he is the current President of the Asociación Mexicana de Archivos y Bibliotecas Privados A.C. (Mexican Association of the Private Archives and Libraries), Member of the Executive Board of the Mexican Committee of Memory of the World (MOW), UNESCO, and Member of the Scholarly Board of Advisors of Mexico’s National Archives (AGN). Chmelnik has worked in Editorial Mapas, the newspaper El Independiente, Once TV, and the Museum of Memory and Tolerance. He has given lectures on philosophy and history in Mexican and US universities, such as the Universidad Tecnológica de México, Universidad La Salle, the University of California (Irvine), and the University of New Mexico. At the K-12 level, he has taught history and contemporary thought, and has led workshops in Centers of Social Readaptation as well as in the cultural programs of Mexico City’s Commission of Human Rights. Finally, he has published articles, chapters, and introductions in history and philosophy books, such as the Guía Mexicana de Archivos y Bibliotecas Privados and the essay anthology Levinas confrontado. He obtained the Award of the Instituto Cultural México-Israel in 2014.